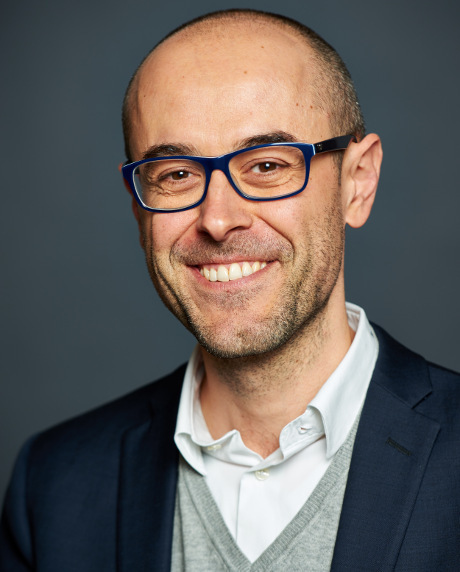 Sergio Carrera is Part-Time Professor at the Migration Policy Centre (MPC) at the European University Institute (EUI). He is also Senior Research Fellow and Head of the Justice and Home Affairs Programme at the Centre for European Policy Studies (CEPS) in Brussels. Sergio is Visiting Professor at the Paris School of International Affairs (PSIA) at Sciences Po (France). He holds two honorary academic posts: Associate Professor at the Faculty of Law in Maastricht University (The Netherlands); and Honorary Industry Professor at the School of Law in Queen Mary University of London (UK). Research topics: Migration, Asylum, Schengen, Citizenship and Integration laws and policies in the European Union. Geographic areas: All Areas, with special focus on the European Union. Carrera, S., L. den Hertog, D. Kostakopoulou and M. Panizzon, editors (2018). The External Faces of EU Migration, Borders and Asylum Policies: Intersecting Policy Universes. Brill Nijhoff: Leiden, forthcoming. Carrera, S., V. Mitsilegas, J. Allsopp, and L. Vosyliute, editors (2018). Policing Humanitarianism: Policies against Migrant Smuggling and Their Impact on Civil Society in the EU. Hart Publishing, forthcoming. Carrera, S., J. Santos and T. Strik, editors (2018). Constitutionalising the External Dimensions of EU Migration Policies in Times of Crisis: Legality, Rule of Law and Fundamental Rights Reconsidered. Edward Elgar Publishing, forthcoming. Carrera, S. (2016). Implementation of EU Readmission Agreements: Identity Determination Dilemmas and the Blurring of Rights, Springer Briefs in Law. Springer International Publishers. Carrera, S., D. Bigo and E. Guild, editors (2013). Foreigners, Refugees or Minorities? Rethinking People in the Context of Border Controls and Visas. Ashgate Publishing Limited. Carrera, S. J. Allsopp and L. Vosyliute (2018). “The Effects of Anti-Migrant Smuggling Policies on Humanitarian Assistance in the EU”, International Journal of Migration and Border Studies, forthcoming. Carrera, S. L. den Hertog and M. Stefan (2018). “The EU-Turkey Statement: Reversing ‘Lisbonisation’ in EU Migration and Asylum Policies”. Nordic Journal of International Law, Special Issue, forthcoming. Carrera, S. (2016). “The ECtHR’s Judgment in Biao v Denmark: Non-Discrimination among Nationals and Family Reunification as Converging European Standards”. Maastricht Journal of European and Comparative Law, Vol(23)5, pp. 865-889. Carrera, S. and N. Hernanz (2015). “Re-framing Mobility and Identity Controls: The Next Generation of the EU Migration Management Toolkit”. Journal of Borderlands Studies. Carrera, S. and G. Marrero González (2014). “La Ciudadanía Europea en Venta: El Programa de Venta de Nacionalidad Maltesa: Una Brecha en el Principio de Cooperación Leal en el Ámbito de Ciudadanía de la Unión”. Revista de Derecho Comunitario Europeo, Número 49. Carrera, S. (2014). “The Price of EU Citizenship: The Maltese Citizenship-for-Sale Affair and the Principle of Sincere Cooperation in Nationality Matters”. Maastricht Journal of European and Comparative Law. Carrera, S., L. den Hertog and J. Parkin (2013). “The Peculiar Nature of EU Home Affairs Agencies in Migration Control: Beyond Accountability versus Autonomy?”. European Journal of Migration and Law, Issue 4. Carrera, S. and J. Allsopp (2017). “The irregular immigration policy conundrum: problematizing ‘effectiveness’ as a frame for EU criminalization and expulsion policies”. In Routledge Handbook of Justice and Home Affairs Research, edited by F. Trauner and A. Ripoll. Routledge London. Carrera, S. and A. Álvarez Rodríguez (2016). “Las Nuevas Exigencias de Integración en el Acceso a la Nacionalidad Española: retroceso para los Iberoamericanos?”. In Groot Boek Liber Amicorum Gerard-René de Groot, edited by O. Vonk et al. Wolters Kluwer, pp. 13-62. Carrera, S. (2016). “Civic Integration Exams in EU Immigration Law: What Integration is Not in European Law”. In Residence, Employment and Social Rights of Mobile Persons: On How EU Law Defines where they belong, edited by H. Verschueren. Intersentia, pp. 129-160. Carrera S. (2014). “Integration of Immigrants in EU Law and Policy: Challenges to Rule of Law, Exceptions to Inclusion”. In Migration and EU Law and Policy, edited by L. Azoulai and K. de Vries. Oxford University Press. Carrera, S. (2013). “The Framing of Roma as Abnormal EU Citizens: Assessing European Politics on Roma Evictions and Expulsions in France”. In The Reconceptualization of EU Citizenship, edited by E. Guild, C. Gortazar and D. Kostakopoulou. Leiden: Martinus Nijhoff Publishers. Carrera S. (2013). “Integration of Immigrants in EU Law and Policy: Challenges to Rule of Law, Exceptions to Inclusion”. In Migration and EU Law and Policy, edited by L. Azoulai and K. de Vries. Oxford University Press. Carrera, S. and B. Petkova (2013). “The role and potential of civil society and human rights organizations through third party interventions before the European Courts: The case of the EU’s Area of Freedom, Security and Justice”. In Judicial Activism at the Court of Justice: Causes, Responses and Solutions, edited by M. Dawson, E. Muir and B. de Witte. Cheltenham: Edward Elgar. Carrera, S. and M. Stefan (2018). Complaint Mechanisms in Border Management and Expulsion Operations in Europe: Effective Remedies for Victims of Human Rights Violations?, CEPS, Study Commissioned by the Council of Europe Special Representative on Migration and Refugees, Brussels. Carrera, S., A. Geddes, E. Guild and M. Stefan (2017). Pathways towards Legal Migration into the EU: Reappraising Concepts, Trajectories and Polices, CEPS, Brussels. Carrera, S., S. Blockmans, J.P. Cassarino, D. Gros and E. Guild (2017). The European Border and Coast Guard: Addressing Migration and Asylum Challenges in the Mediterranean?, CEPS, Brussels. Carrera, S., E. Guild and K. Eisele (2014), Re-Thinking the Attractiveness of EU Labour Immigration Policy: Comparative Perspectives on the EU, the USA, Canada and Beyond, CEPS, Brussels. Carrera, S., L. den Hertog, and M. Stefan (2017). “It Wasn’t Me! The Luxembourg Court Orders on the EU-Turkey Refugee Deal”. CEPS Policy Insight, Brussels. Carrera, S. and E. Guild (2017). “Offshore processing of asylum applications: Out of sight, out of mind?”. CEPS Commentary, Brussels. Carrera, S., E. Guild, and Ngo C. Luk (2017). “The integration of immigrants and legal paths to mobility to the EU: Some surprising (and encouraging) facts”. CEPS Commentary, Brussels. Carrera, S. and E. Guild (2016). “EU-Turkey plan for handling refugees is fraught with legal and procedural challenges”. CEPS Commentary, Brussels. Carrera, S. and L. den Hertog (2016). “A European Border and Coast Guard: What’s in the Name?”. CEPS Liberty and Security in Europe Series, Brussels. Carrera S. et al. (2016). “EU-Morocco Cooperation on Readmission, Borders and Protection: A model to follow?”. CEPS Liberty and Security in Europe Series, Brussels. Carrera, S. and L. den Hertog (2015). “Whose Mare? Rule of Law Challenges in the Field of European Border Surveillance in the Mediterranean”. CEPS Liberty and Security in Europe Series, Centre for European Policy Studies, Brussels. S. Carrera, C. Luk, M. Stefan, L. Vosyliute (2018). “The Future of the Schengen Area: Latest Developments and Challenges in the Schengen Governance Framework since 2016”, DG IPOL, Brussels. S. Carrera et al. (2017). “Towards a Comprehensive EU Protection System for Minorities”, Study for the European Parliament, DG IPOL, Brussels. E. Guild, S. Carrera, L. Vosyliūtė, K. Groenendijk, E. Brouwer, D. Bigo, J. Jeandesboz and M. Martin-Mazé (2016). “An Analysis of the Schengen Area in the Wake of Recent Developments”, Study for the European Parliament, DG IPOL, Brussels. P. Bárd, S. Carrera, E. Guild and D. Kochenov (2016) “An EU mechanism on Democracy, the Rule of Law and Fundamental Rights”, Study for the European Parliament, DG EPRS, Brussels. S. Carrera, E. Guild, L. Vosyliūtė, A. Scherrer and V. Mitsilegas (2016). “The Cost of Non Europe in the Area of Organised Crime”, Study for the European Parliament, DG EPRS, Brussels. S. Carrera, E. Guild, A. Aliverti, J. Allsopp, M. Giovanna Manieri and M. LeVoy (2016). “Fit for purpose? The Facilitation Directive and the criminalisation of humanitarian assistance to irregular migrants”, Study for the European Parliament, DG IPOL, Brussels. S. Carrera and E. Guild (2015). “Implementing the Lisbon Treaty: Improving the Functioning of the EU on Justice and Home Affairs”, Study for the European Parliament, DG IPOL, Brussels. S. Carrera, V. Mitsilegas and K. Eisele (2014). “Who Monitors Trust in the European Justice Area? The End of the Transitional Period for the Measures under Police and Judicial Cooperation in Criminal Matters Adopted before the Lisbon Treaty”, Study for the European Parliament, DG IPOL (Internal Policies), Brussels. S. Carrera, D. Bigo, N. Hernanz and A. Scherrer (2014). “The Use of Intelligence Information, the National Security or State Secrets Rule and Secret Evidence in National Legislation and Its Interpretation by Courts”, Study for the European Parliament, DG IPOL, Brussels. S. Carrera, E. Guild and N. Hernanz (2013). “The Triangular Relationship between Fundamental Rights, Democracy and the Rule of Law in the EU: Towards an EU Copenhagen Mechanism”, Study for the European Parliament, DG IPOL, Brussels. S. Carrera, D. Bigo, N. Hernanz, A. Scherrer, F. Ragazzi and J. Jeandesboz and J. Parkin (2013). “Mass Surveillance of Personal Data by EU Member States and its Compatibility with EU Law”, Study for the European Parliament, DG IPOL, Brussels. S. Carrera, N. Hernanz and J. Parkin (2013). “The ‘Lisbonisation’ of the European Parliament: Assessing Progress, Shortcomings and Challenges for Democratic Accountability in the Area of Freedom, Security and Justice”, Study for the European Parliament, DG IPOL, Brussels.